Have you checked out our Voting section yet? This is where you can vote on the latest upcoming articles to be published on WonderHowTo. Your feedback is useful to us and our contributors. Read the articles, and give them a Thumbs Up or Thumbs Down, and provide some insight as to why you chose your grade. We love reading excellent articles, and the author of the article will be able to see your comments as well so they can improve. Authors, did you know you can share your article even before it's published on Facebook and Twitter? 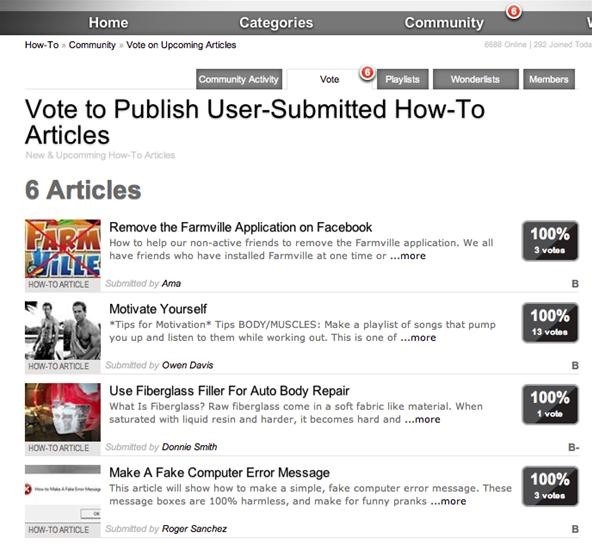 Just use the article toolbar to share it with your friends and connections, and ask them to vote for your article!